I've got two different photos taken while riding. The first was taken a few weeks ago, early February. There had been some fresh snow, about 30 cm, which is quite a lot for one snowfall around here. 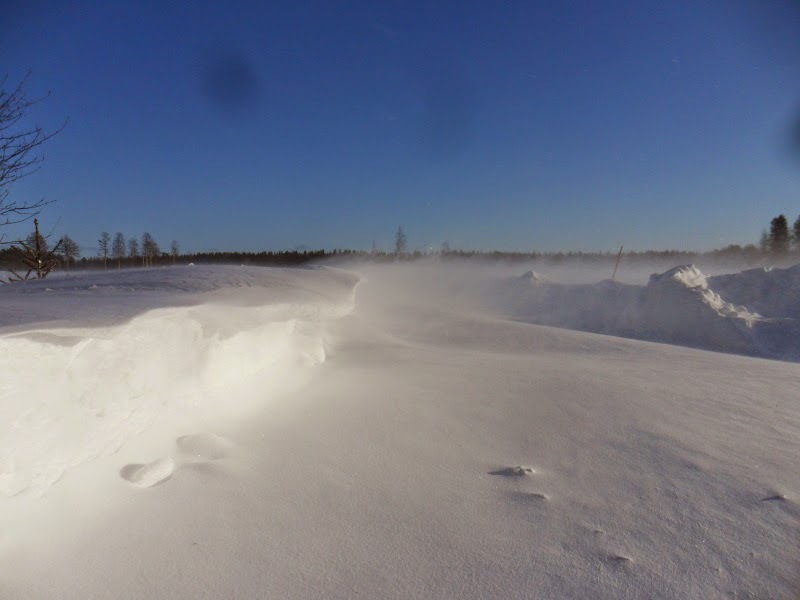 The snow was powdery and dry, which meant the strong winds whipped it about and made nice snow "dunes". Although the snow drifts can be a hazard to the unwary. If half the lane is filled with snow, the thick drift can 'pull' the car deeper and you'll get stuck, or maybe you just lose control and spin the car. Well, with bikes that's less of a problem. And here's a mundane, everyday bikeway. Nothing spectacular about that.